When you first start freelancing, you’re grateful just to get out of “working at Whole Foods” territory of about $15-25 an hour. After all, when you do your salaried employment math, it comes out to about that much after taxes, right? And who ever heard of a writer making $150 an hour writing? Freelancers should never charge less than $50 an hour for their services. And I’m going to take it a step further and say that $50 an hour is the minimum you should ever charge. Like, even for your best friend or your best friend’s boss’s nephew. I say $50 minimum (and up to $150 and above) not as a fancy, 40-years expertise, award-winning freelance writer. I say this as a former English teacher (with the matching sad salary) who learned how to write about different topics in different formats using the Internet and a few library books. Success as a freelance writer is possible with hard work, persistence, and writing talent — and today I’d like to share the four fundamentals I’ve picked up over the last two years that help me make $150 an hour writing (or more). Because at the end of the day, what’s awesome is not my hourly income rate. What’s awesome is that my hourly income rate allows me to work 10-15 hour weeks, take doctor’s appointments when I need to, take days off when I need to, and generally write my own script for what I do in the day. Isn’t that why you started freelancing? Isn’t that why we all work a job in the first place (“working for the weekend” comes to mind)? Well, freedom isn’t free. It comes from upping your hourly income so you can spend as many (or as few) hours working as you want or need to in a given week. 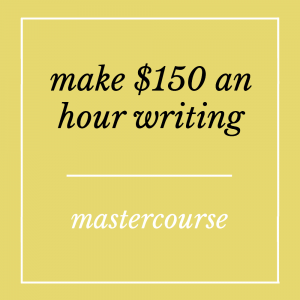 Let me put this out there: this post is mostly a soft-shoe for the Make $150 an Hour Writing mastercourse coming out in May. However, a discerning eye could totally read this post, do some extra research, and DIY the crud out of this topic without needing video, instructables, webinars, and candor from me. First, to the dismay of all the literal learners in the group, you need to accept that high-income earners don’t charge by the hour. Like, at all. We charge by value or we charge by project. We exchange expertise for money, not time for money. We charge by value or we charge by project. We exchange expertise for money, not time for money. The name of the course still stands, though, because we’re focusing on what you’re earning, not charging. I earn $150+ for my hours of writing, but I never bill $150+ per hour (and frankly I don’t know any clients who would pay that). I have a few retainer clients for whom I bill a low hourly rate for meetings and very time-focused things when I’m stuck in that corporate box, but otherwise I charge exclusively by project rates. It’s better for my clients and it’s better for me. Making this transition can be difficult. The world runs hourly, even though they’re all stressed out because of it. But when you really buy into the value of project or value based pricing, you simply can’t go back. Start with this free eBook from FreshBooks and go from there. PS The course covers way more (like actually transitioning clients into a project rate), but it’s too much to get into for a simple blog post. This principle actually proves the first principle. When you charge based on value or the project, when you work faster, you make more money. You’re rewarded for being fast and efficient. It’s the American Dream. When you charge based on value or the project — working faster means making more money. You’re rewarded for being fast and efficient. It’s the American Dream. Compare that to the corporate world where finishing early means getting more work assigned to you (for no more money), or in the freelance hourly billing world where working quickly nets you less income because you can’t bill as much. For established writers, getting clips and crafting a designer portfolio is more nuanced. 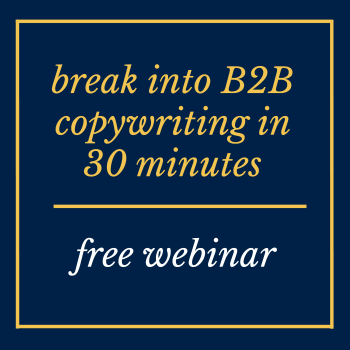 You’ve written for clients and they don’t want you to link to their site because it’s ghostwritten, or you have tons of clips and you don’t know how to organize them in the most professional way possible. In this part of the course we’ll talk about brainstorming spec work, creative strategies for getting published in this contributor-happy world, and designing a portfolio that helps you land clients you want instead of the clients that you’re getting now. All the preparation and project pricing in the world can’t help you make your goal income if you don’t actually find clients and keep them. 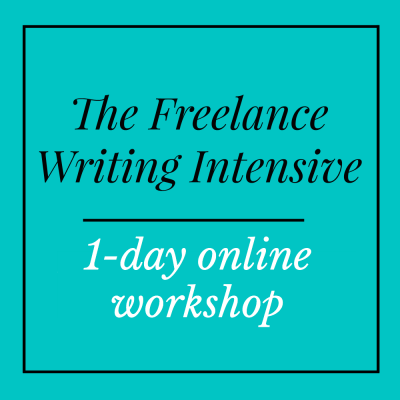 That’s the focus of the final week of the course where we’ll outline all the different ways to find clients (from content mills to elite networking) and highlight which are most worth your time. I can’t stress enough how important this part of the process is. If you attract clients who want to call you at all hours of the day, they could never pay you enough to make up for the disruption in your lifestyle. Finding and keeping the right ones is a huge skill to master. I’ve already covered where to find these mythical high-paying clients. In the course we’ll expand on that concept and put more juice in the “Oh, I never thought of finding a client that way!” engine with specific examples for specific niches. 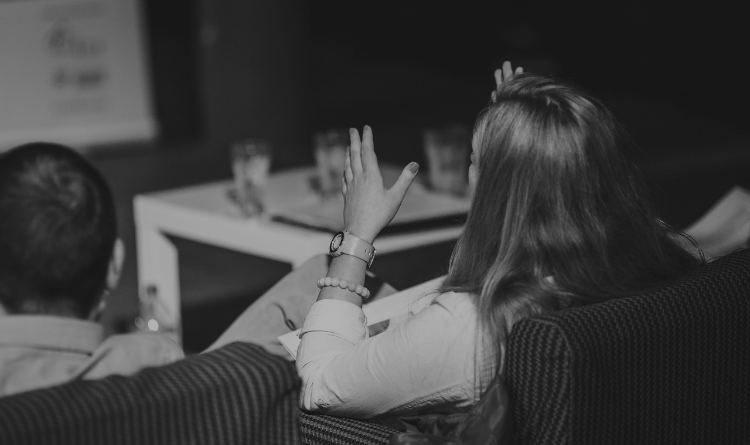 Most importantly, we’ll also look at how to maintain relationships with your clients to give them the experience that goes along with a higher writer price tag. 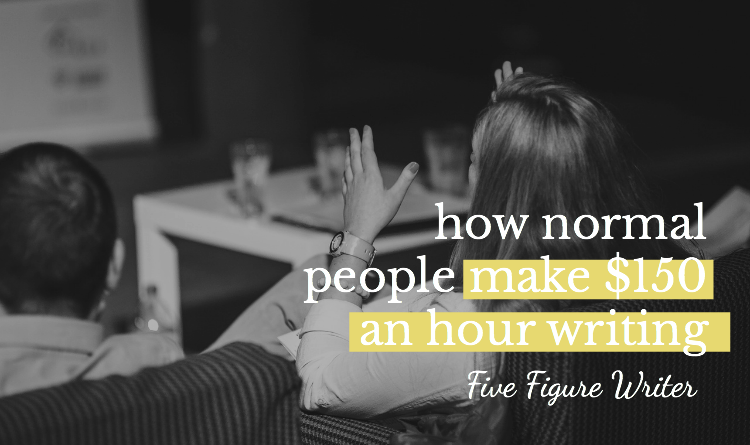 Like, how to make better conversation in those awkward first 5-minutes of a call and how to get comfortable being yourself (and reaping the rewards of being yourself) in your business. If this resonates with you, I want to invite you to download the course summary and consider signing up for the real-time course. It starts May 16th (enrollment closes May 15th) and runs four weeks through June 10th, 2016. It’s all by email, video, and PDF download, so you can complete the work on your own time and then catch up with the class for live Friday webinars. 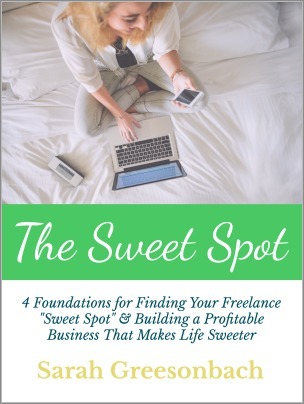 The lessons take your talented, normal self through the rigamarole of strategic freelance writing and into a place where you can maximize your hourly income and work on your terms. Until then, tell me: What are you charging right now? How much do you think you should be charging?